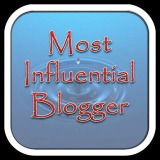 On June 5th SwittersB nominated me for the Most Influential Blogger Award by pointing my way in his blog post. I was quite humbled and appreciated all the new visitors and subscribers that I believe were a result of his post. In any case some questions have been posed for those nominated which took me some time to mull over. Today I’ve taken some time for self-care which includes writing and pushing my creativity, including taking some time to think about the questions. 2-If you could visit one nation you have never visited before, what nation would that be? Bhutan, called the land of the Thunder Dragon, a country with a strong sense of culture and tradition and said to be one of the more peaceful places. 3-Have you ever taken a long distance train trip? I’m not sure what is considered long; I’ve been on trains from Eugene, Oregon to Seattle,Washington and Pittsburgh, Pennsylvania to Washington, DC. 4-What is something you would collectively change about humanity? Genocide & Hunger. 5-What is your favorite song? This kind of depends on my mood. Karnamrita Dasi has an album called Prayers for Women that I love; Cindi Lauper’s Girls Just Want to Have Fun is always a good one; and I always appreciate Louis Armstrong’s What a Wonderful World. 6-If you could meet one person who is still alive who would you choose to meet? I would love to meet one of my closest friend’s son, Shivank. It has been too long since I’ve seen Manju. 7-If you could choose one symbol to represent you, what would that symbol be and why? The forever sign. Forever will I fight for peace, love, and the pursuit of happiness.